“PM Modi’s economic policies are like Shinkansen (Japanese high-speed railway network) — high speed, safe and reliable and carrying many people along,” said Japanese PM Shinzo Abe. 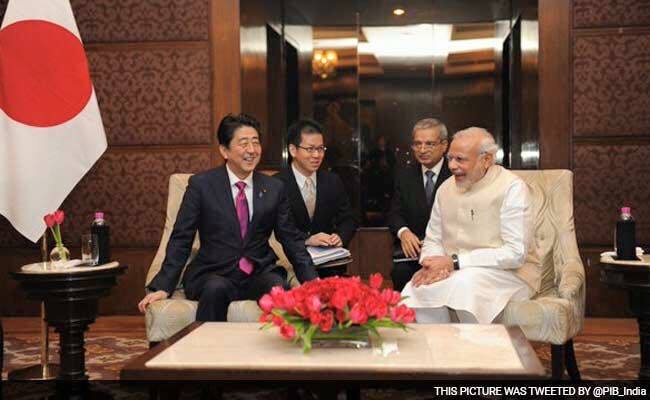 Here are the following key developments during Modi-Abe meeting. ‪#‎Japan‬ earmarks $12 billion fund for ‪#‎MakeInIndia‬ movement. PM Modi announces visa on arrival for Japanese nationals from March 1, 2016. Japan to build first bullet train network between Mumbai- Ahmedabad at a cost of about Rs 98,000 crore. India and Japan inked several agreements related to Defence Equipment and Technology and another related to Security Measures for Protection of Classified Military Information. Agreement signed for cooperation in peaceful uses of nuclear energy.